Manchester is the second big city in Great Britain and the most popular study destination in the UK for international students. Whether you are planning a day trip from London, or a longer stay, we have prepared the best self-guided Manchester tour, because you can mix and match all the experiences based on your preferences and time. This beautiful British city will surprise you for how cheap it is if compared to other popular destinations in the UK, it has an international airport and it’s definitely easy to explore because you can basically walk everywhere (and if you’re too tired, they have an amazing public transport system). Let’s get down to business! Going from London to Manchester via train takes only a couple of hours! 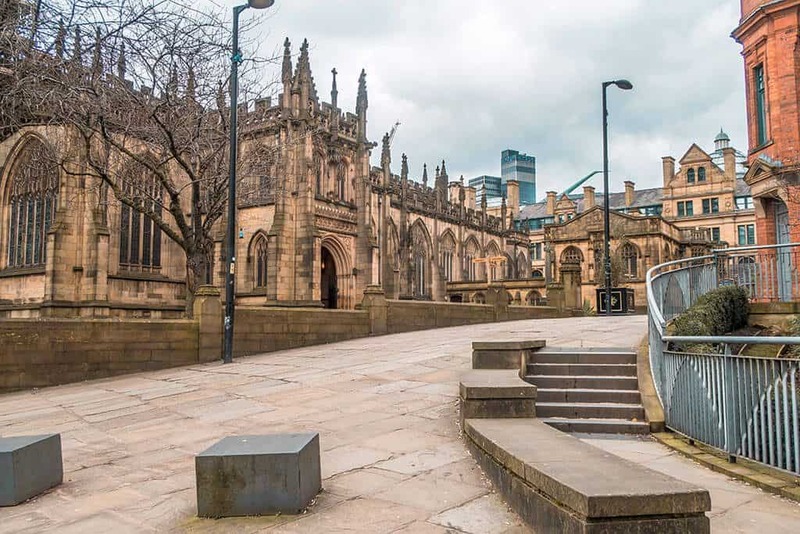 There are many free things to do in Manchester, but I want to start with one that should always be in your itinerary: the Manchester Cathedral. Particularly beautiful in springtime, when the gardens all around are in full bloom, it is located on Victoria Street, in Manchester city centre. This is the mother Church of the Anglican Diocese of Manchester, a late-Medieval building which will leave you speechless for how beautiful it is. This Grade I listed masterpiece has survived wars and bombings, witnessed the birth of the world’s anti-slavery movement and has been the center stage of the Industrial Revolution. On the roof there are beehives to take care of the Manchester bees, and they often have classical music concerts. Inside the Manchester Cathedral Visitor Center you will also find a cute and cozy cafè. Proper Tea is a traditional British tea room that also offers nice cups of coffee to go. It’s also a good place to stop at for a quick soup or sandwich. Very close to: National Football Museum, Chetham’s Library, Manchester Arndale, Corn Exchange. You can also reach John Ryland’s Library and Northern Quarter with a 5 minutes walk (for each one of them). If you love art, then this Manchester tour won’t disappoint you, as this is a surprisingly artsy city. Pay a visit to the Manchester Art Gallery (of course, it’s free! 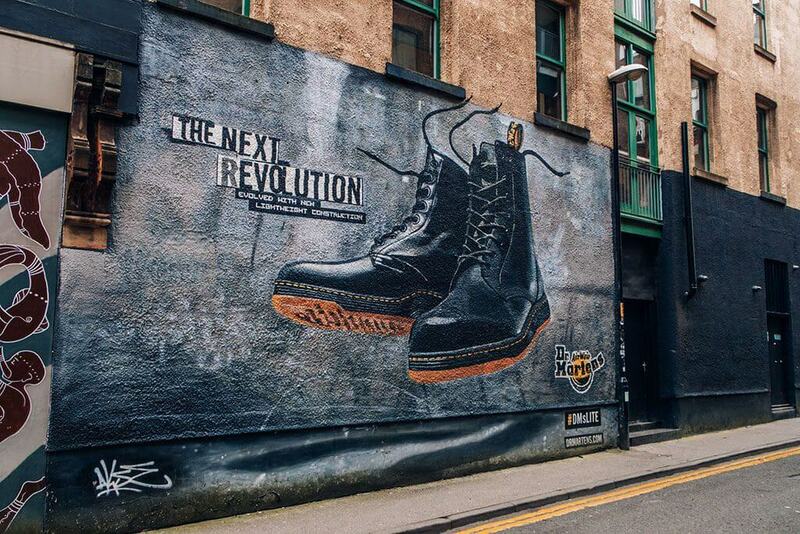 ), located on Mosley Street in Manchester city center. The outside looks a bit like the New York public library, thanks to its beautiful colonnade, but the one in Manchester is made of three connected buildings, two of which were designed by Sir Charles Barry. Open seven days a week, it houses works of local and international importance, with oil paintings, watercolours, drawings, sculptures, miniature and even Egyptian objects. Particularly famous for its collection of Victorian Art, it’s appreciated by the visitors for the Pre-Raphaelite Brotherhood paintings. Every year more than half a million people visit the Manchester Art Gallery. In January 2018, the gallery removed the painting Hylas and the Nymphs by John William Waterhouse, leaving an empty space and post-it notes to the visitors to encourage debate as to how women’s bodies should be displayed. There was a huge backlash and they were accused of censorships and puritanism, to the point that they were forced to put rehung the painting after a week. Amid the controversy, they were even compared to Nazi curators who, during World War II, decided what had to be removed from museums only according to their taste. Was it puritanism or a way to discuss about how we should be more respectful of the women, in the wake of the #MeToo movement? We’ll leave that up to you. Very close to: John Rylands Library, Royal Exchange Theater, Manchester Town Hall. The John Rylands Library really does look like Hogwarts! Are you Harry Potter fans? We sure are! Dany is a proud Ravenclaw and Aldo a Gryffindor. Imagine our face when we visited the John Rylands Library in Manchester… we were baffled! And we could totally see why they keep calling it “the real life Hogwarts“. This late Victorian neo-Gothic building is located on Deansgate in Manchester. Opened to the public in 1900, it was founded by Enriqueta Augustina Rylands in memory of her beloved husband, John Rylands. In 1972 the Library merged with the University of Manchester. 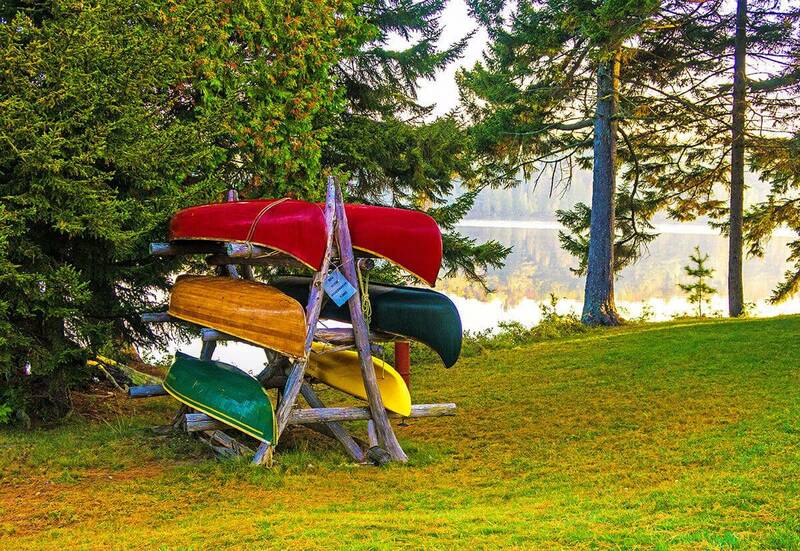 Can you imagine how amazing it is to be able to study in such a beautiful setting? We have promised you lots of free things to do in Manchester, just like we did when giving you nice budget ideas for a weekend in London. So yes, the entrance to this library is completely free, and you will often be treated also to interesting exhibits (check out their official website for the updated exhibit calendar). Once you step inside, the first idea that comes to your mind will be… castle. Imposing columns, high ceilings and beautiful statues: the books collection is located in the Historic Reading room, with quiet alcoves where you can sit and read or study. An interesting fact is that the original Victorian toilets can be found down the stairs from the main entrance hall. They are the same installed in 1900 and still in use! Did we already mention Hogwarts? Very close to: Manchester Town Hall, Royal Exchange Theatre, Manchester Art Gallery. With a five minute walk you can reach respectively the Museum of Science and Industry, and the Manchester Cathedral. Unless you are a huge football fan, we wouldn’t advise you to add a visit to the National Football Museum if you only have one day in Manchester. Sure, football is a huge part of the history of Manchester, a city that has two world famous teams (Manchester United and Manchester City), but there are so many things to see and do! We’d save that for a longer trip. Of course, if you think you can make it a (very) quick visit, then you can add it to your Manchester tour. It is, after all, pretty close to several other points of interest! The entrance to England’s national museum of football is free, and it’s located on Todd Street. You definitely can’t miss the big glass building with its name in white, so don’t worry, you’ll definitely spot it even from far away! The museum is pretty big (which is why we suggested you leave it for a longer trip to Manchester), and it’s laid out over 4 floors. The collection is impressive also for those (like Dany) who don’t understand much of football. Of course, being from Naples, with Naples Soccer Team so deeply rooted in our everyday life, we were particularly impressed by Manchester. Football here is even more important than it is in Naples (and believe us, in our city saying “Forza Napoli” is mandatory! ), and between this museum, the impressive Old Trafford stadium and all the highlights you’ll find almost everywhere, it is easily a paradise for those who love this sport. Kids for example absolutely love the National Football Museum! Very close to: Chetham’s Library, Manchester Arndale, Manchester Cathedral, Corn Exchange. Another one of the fun activities in Manchester, if you have kids or if you like space like us, is a visit to the Museum of Science and Industry. The entrance to this large museum is, of course, completely free and located on Liverpool Road, in Manchester city center. It focuses on the development of science, technology and industry, with a particular emphasis on the city’s achievements in these fields. Inside you will find extensive displays on transport with cars, aircrafts (including a RAF Avro Shackleton) and trains, information on Manchester’s sewerage and textiles, communications and computing. We suggest you check out their official website to see if there are special exhibitions when you are visiting, because they will charge you for those. Yet don’t be quick to delete this Museum from your Manchester tour in case there’s a special exhibit. We were lucky enough to attend a space exhibit and saw the descent module and space suit used by the astronaut Tim Peake in 2016, among other things. Al was beyond himself: he absolutely loved the visit! Very close to: You will need to walk for about 10 minutes to get to the Museum from the John Rylands Library (sorry, not so “very close”!). If you are on Facebook chances are that you have seen a lot of mini-videos on the best libraries in the world. Or the most instagrammable ones. What we always found absolutely incredible is that they generally leave out both the John Rylands Library, and the oldest free library in the U.K.: Chetham’s Library. Located on Long Millgate, a few steps away from the National Football Museum, this tiny library, founded in 1653, is free, provided that you can only visit the Library itself and a very small part of the medieval building. The staff will accompany you for a tour in small groups, from Monday to Friday at 10:00am | 11:00am | 12:00pm | 01:30pm | 02:30pm | 03:30pm. Chetham’s library is closed on public holidays and between Christmas and New Year. Chetham’s Library holds more than 100.000 volumes of printed books, of which 60.000 were published before 1851. The visit is interesting but won’t last much. Yet because Chetham’s Library is so close to many points of interest, we think it can always fit in every Manchester tour! Very close to: National football museum, Manchester Art Gallery, the Manchester Cathedral, Corn Exchange. The Northern Quarter is Manchester’s hipster haven and home to everything that is colorful, unique and… well, ok. Hipster! 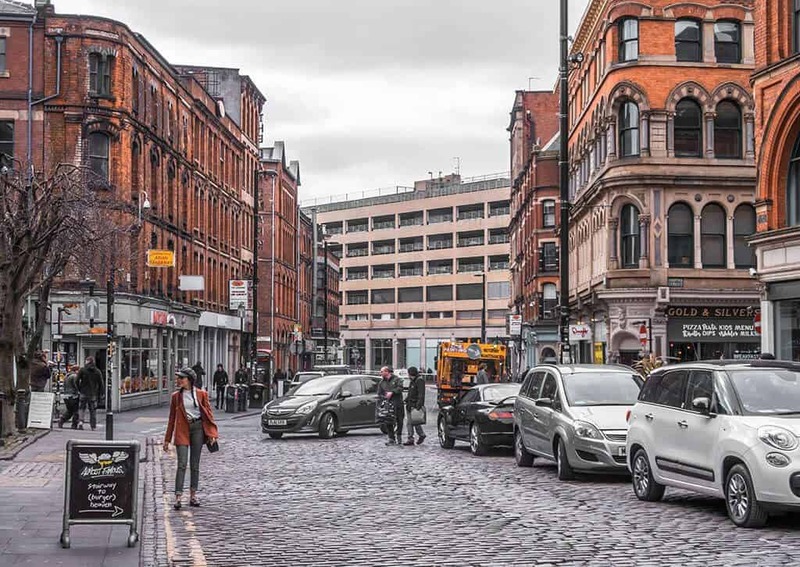 The area is fiercely independent and a bit more gritty if compared to Manchester city center, but full of bars, cafes, music venues, vintage clothes shops and street art. In Stevenson Square, the remains of a former public building are used by the OuthouseMCR organisation to showcase street and graffiti art. OuthouseMCR also manages the urban art which decorates an electrical sub-station on Tib Street. On one wall of the substation, protected by Perspex, there’s a painting that some say belongs to the world famous artist Banksy. In case you’re planning a Manchester tour and you’re a movie nerd (like us), then you absolutely have to add the Northern Quarter to your itinerary. Here they filmed several scenes for the movie Alfie (2004), Captain America: The First Avenger (2011), and Guy Ritchie’s Sherlock Holmes (2009). There are so many places to go in Manchester’s Northern Quarter, but while you are sightseeing, make sure you also check out the unique shops that you won’t find anywhere else in the city. Like the Manchester Craft and Design centre, an old victorian market that has become a creative place where artists, designers and makers craft and sell their masterpieces. Or Afflecks, a super famous, eclectic indoor market with small shops and unique souvenirs at a tiny price. We also particularly liked the colorful shop Oklahoma, where we found the most bizarre, unique and cute objects ever. And we mean… really colorful and bizarre, with a touch of nerd! Very close to: Manchester Cat Cafè. We already talked about the Cat Cafè in Milan (Italy), so you know that we absolutely love cats: as soon as we realized there’s a cat cafè, we added it to our Manchester tour. Located in the Northern Quarter, on High Street, this Cat Cafè is pretty different from the one we go to when we are in Milan. It has a proper mission, to help people dealing with physical, mental and emotional stress. They want to teach their guests to relax, because sometimes… we forget that we have to stop and breathe. Having several cats, we are aware that they definitely know how to relax… after all they sleep for the most part of the day! This company aims to have a Cat Café in every major city in the UK (they have one in Manchester and one in Liverpool, for now). But this doesn’t mean that they stress their cats to make sure humans can relax. In every Cat Café you have to agree to a set of rules. No children under 10 years are allowed inside. You can’t pick up the cats or force them to do something they don’t feel like doing. You can’t touch them if they are sleeping. And… something we didn’t see in Milan and that we really appreciated. Before to get in the cat’s area, you either have to remove your shoes or wear shoe covers, as well as sanitising your hands to make sure you’re not bringing dirt or bacteria inside. Tickets cost 12£ per hour, but you can also buy just fractions of it (we decided to stay for about half an hour, to drink a cup of tea while I said hello to the amazing Harvey, you can see him in our video on Youtube). Inside they have a lovely cat themed cafè which sells sweets, muffins, coffee, tea, and of course cat themed souvenirs. Very close to: Northern Quarter shops. Meet Harvey, from the Cat Cafè Manchester: isn’t he lovely? The Corn Exchange in Manchester, located on Exchange street, is an historical building, once used for the corn exchange (in case it wasn’t clear enough). In 1996 it was destroyed by an IRA bomb and it has been re-developed into a dining destination, with 17 restaurants and bars inside. This beautiful building is located in an area full of fun things to do in Manchester and can be a good place to stop if you want to have lunch (or dinner, of course). You can find everything, from pizza to Vietnamese cuisine, to Italian restaurants or Mexican delicacies. 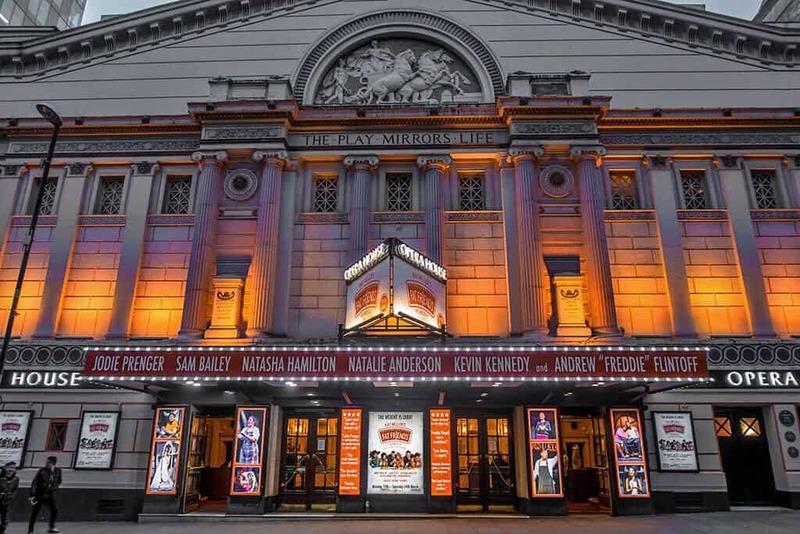 In the evening this area is always full of people because there’s a movie theater, the Hard Rock Cafe Manchester, and also the big shopping center Manchester Arndale is just a few minutes walk from the Corn Exchange. If you are looking for an interesting backdrop, the Corn Exchange building is one of the most instagrammable places in Manchester! Very close to: Manchester Arndale, National Football Museum, Chetham’s Library, the Manchester Cathedral. Manchester Arndale is a pretty big (for our European standards) shopping center, built in the ’70’s. It’s part of the largest chain of Arndale Centres built across the UK and was redeveloped after the IRA bombing that also affected the Corn Exchange, and many other buildings in this area. Today it’s Europe’s third largest city-centre shopping mall, and it’s also pretty close to Selfridges and Marks and Spencer. The three are connected by a few bridges. It’s also one of the largest shopping centres in the UK. Like many large shopping malls, there’s a food court. If you’re planning your Manchester tour on a budget, here you will find cheap eats and everything else you might need. 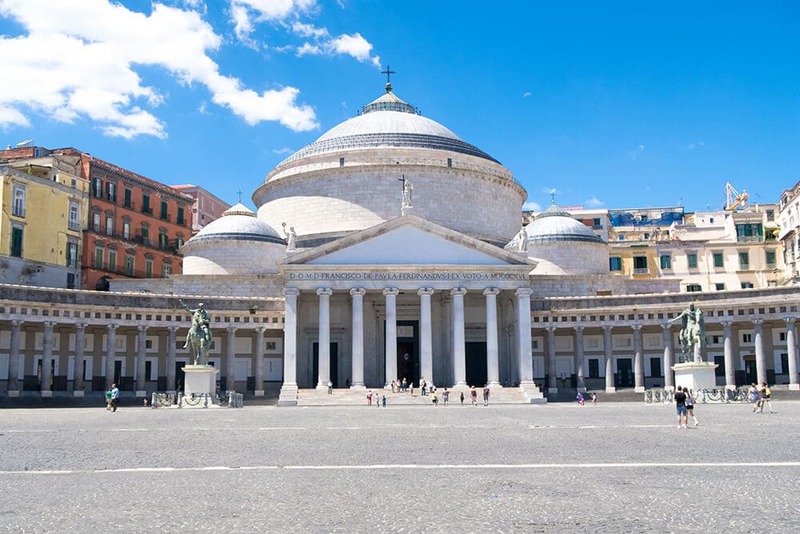 What can we say… we like to unwind by strolling into a large shopping center, especially because in Italy we only have the very big ones (and not as big as Manchester Arndale) in Milan. Note it down as a place where you can have lunch or hang at in the evening, as it’s pretty close to a few of Manchester highlights! Very close to: Corn Exchange, Manchester Cathedral, National Football Museum, Royal Exchange Theatre. The Manchester Town Hall in Albert Square is probably one of the most iconic buildings in Manchester. It looks a bit like the Big Ben in London, and just like the Big Ben… it’s been closed for refurbishment since January 2018. While you won’t be able to visit the inside until 2024, you can still take beautiful pictures and admire the view from Albert Square. The Town Hall celebrated its 140th birthday in 2017, and it’s definitely the one building we have photographed the most in Manchester. You can see it from many of the hotels in the city center (upper floors, of course), and we loved to admire it early in the morning with a warm cup of coffee. It should be the very first thing you add to your Manchester tour, also if you can’t walk inside! Strolling in Albert Square, taking pictures while drinking your coffee, is definitely priceless! Very close to: Manchester Central Library. This post was written in collaboration with Visit Manchester. Needless to say, our opinions are our own and aren’t necessarily the same as the Visit Manchester Team. Manchester is an iconic name which we have studied in history lessons in school. 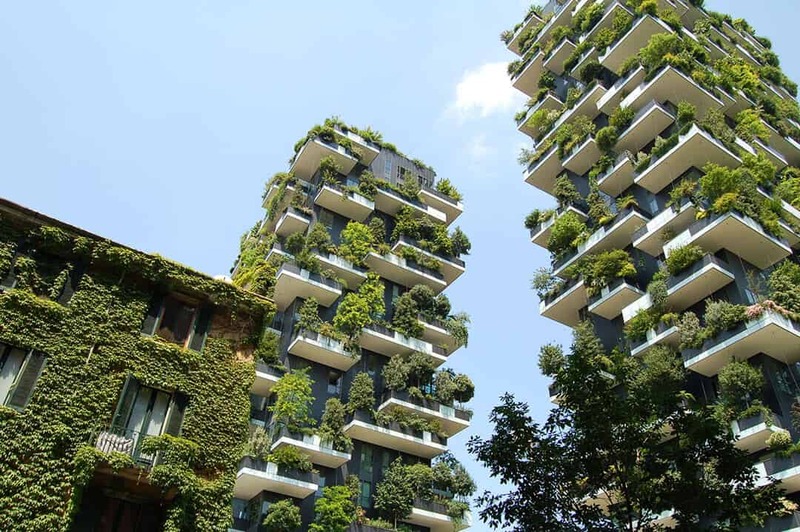 The city one associates with the industrial revolution. But apart from a rich history and heritage, Manchester has so much to offer. We hope to get to UK and Manchester some day and this is a great read for us. The John Rylands Library looks really magnificent and a visit to Manchester would remain incomplete without visiting the Museum of Science & Industry. Lovely and detailed guide on Manchester tour. It is good that museums are free and I would love to go and try curries from Curry Lane. Such a very beautiful place to visit! I really enjoyed reading your detailed post about how to enjoy Manchester. I really like the beautiful street captured in your post and the Rylands Library really looked like Hogwarts! That’s very cool! I also love the cute cat from the cafe. It really is just wonderful to see you explore and fall in love with our hometown! I love that you explored for yourself and discovered so many places, its nice when people but that effort in and see the heart and soul of a place, especially when its somewhere we know so well too. With Manchester it was love at first sight! Such a beautiful city, I have no idea why it’s so underrated! In Italy all people talk about is London! This makes me want to return to Manchester so badly! The libraries really blew me away as did the Imperial War Museum. I loved the mix of new and old architecture. You’ve visited already! Awesome! What did you see? You’re right. I’ve never seen that library on a list before but it sounds fantastic. I haven’t been to Manchester yet but this is a fabulous guide! Wow! I had no idea that Manchester is so beautiful. A few days back a friend was mentioning that she may be in the area but there would be nothing to do in the city. She was so wrong! Will be sharing this post with her. There’s so much to see and do! Share this article with her, I believe Manchester is one of the most underrated places I’ve ever visited! Free museums and the Curry Mile sound amazing! I can’t believe how much there is to do! I love all your insightful tidbits like the beehives on top of Manchester Cathedral. 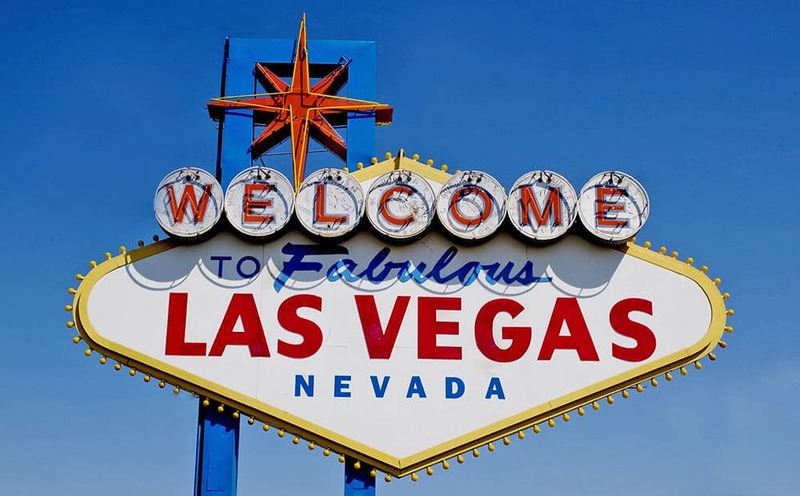 It makes visiting so much more fun when you know these insider facts! I love that you include a couple of libraries!. Our family likes to check out libraries on our travels. With a Science museum, an art museum and a Town Hall I really want to head over to Manchester! Then Manchester is the place for you! They’re both beautiful libraries with the side bonus of being free! The second biggest city in the UK…and I haven’t visited it. Looks like I shouldn’t miss it, beautiful cathedral, international students, National Football Museum…so many things! I prefer self guided tour to guided once. This is an exhaustive guide on Manchester which will be useful for a person like me who has never been there. Same for us, so we can plan our own itinerary without having to rely on someone else! Thanks for sharing this post, it is nice that there are lots to enjoy in Manchester. I am really amazed with the John Rylands Library that really looks like a real Hogwarts! 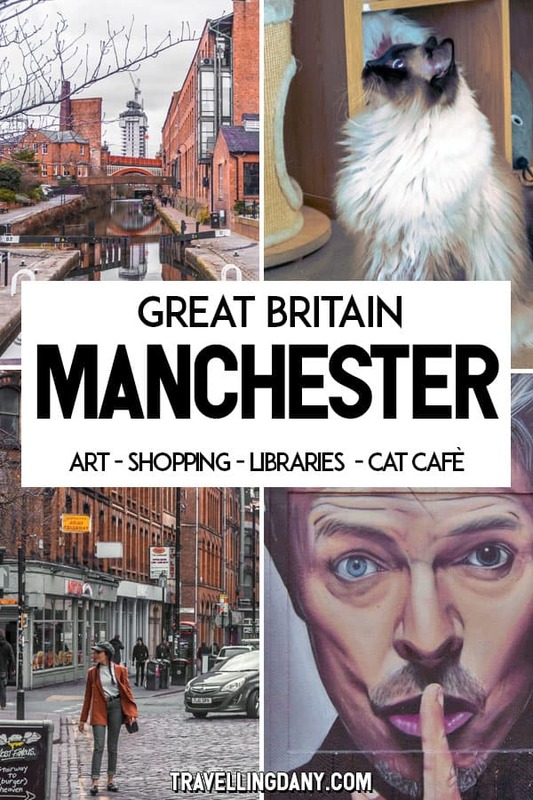 And those cute cats from Manchester Cat Cafe are a must try too, the food from here, and walking while exploring Manchester will be worth a try. I have bypassed Manchester so many times without bothering to stop. I can’t believe that there is so much to see and do that I have missed! I really enjoyed reading the fun facts. I can see why the bee is their logo as well. It makes sense. Thanks for an interesting and fun read. What a great guide. Manchester sounds like a lovely place. Places that look like Hogwarts, cool libraries and cat cafe’s. Sounds like a great place to visit. Manchester looks really interesting and I am recommending this to my relatives too, simply because they love art, museums and libraries!!! The cat cafe sounds great too! Haha same here, I know they’ll love it! Yes art is amazing in Northern city! I think Manchester is a particularly artsy city in general! To help people dealing with physical, mental and emotional stress – what a wonderful mission of the Cat Cafè! I have never been to a cat cafe. Not yet. But I have recently visited a bunny cafe and enjoyed in it every second. The Cat Cafè in Milan is very different. More of a… trendy place than a healing spot, you know what I mean? But the one in Manchester was *very* quiet. I saw so many people happy and just chilling, quietly. It was such a nice feeling! How is a bunny cafè? I’ve never been at one! Haha hubby had to drag me away. 😀 It’s such a quiet place too! I recently visited Manchester and loved it! Especially the Northern Quarter. There are so many things you have written about that I didn’t manage to do or see…next time! Haven’t been to Manchester yet despite living in England for a while. Your article makes me want to go! Will have to make it a stop on our next visit. It’s just a couple of hours from London (via train) so why not! I have a feeling I should visit Manchester soon! Manchester is always a good idea! I really need to see Manchester. I live in London so its only a short train journey away and yet I’ve never been! It looks really nice though- definitely need to hit up that cat cafe. On a Virgin train it took us about 2 hours to get from London to Manchester so yes, definitely a short journey, you could plan a nice day trip to Manchester! 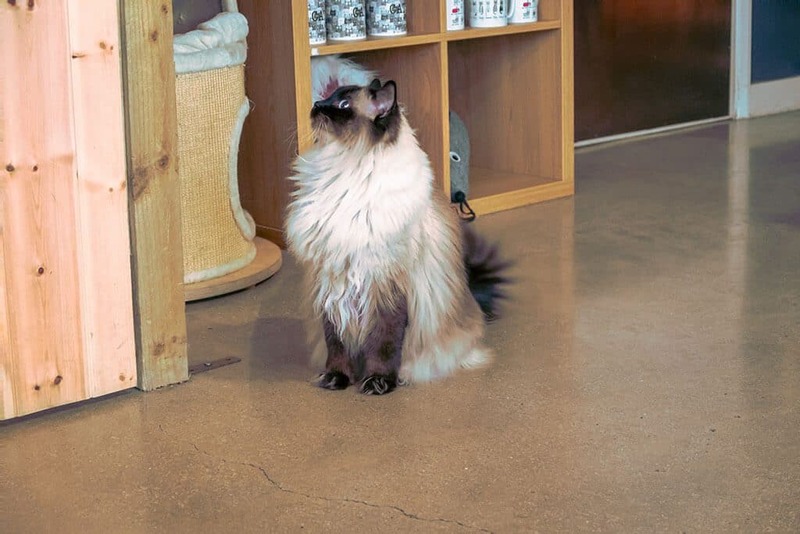 As for the cat cafè… we absolutely loved it. 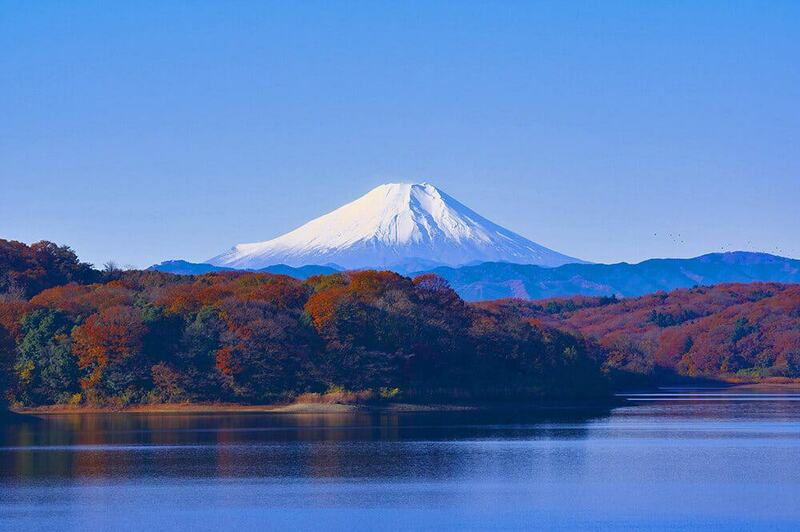 Quiet, cute and “zen”, the Japanese way! My home city! You’ve really put together a great tour here (and you’ve reminded me I’ve really got to get myself to that cat cafe – can’t believe I’ve not already been). I have been meaning to visit Manchester for a while now-have been to London and Oxford and Windsor but haven’t yet ventured over. 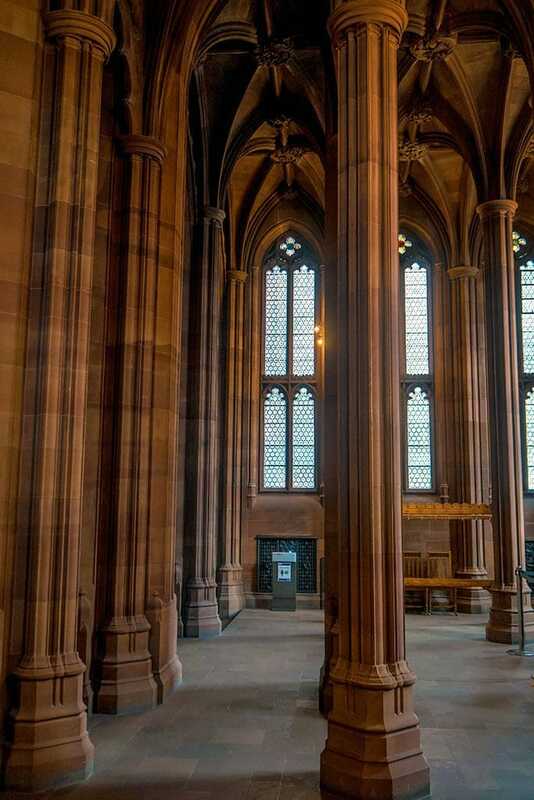 Certainly would love to visit the John Ryland’s library -beautiful libraries always thrill me but even more so if it makes me feel like I’m in a Harry Potter movie. I have to say I’d skip the cat cafe though-considering I’m deathly allergic and that would be like my nightmare! If you like the beautiful libraries with a history, then make sure you also visit Chetham’s Library, you won’t be disappointed! I’ve been to Manchester for work but never as a tourist ….. time to change that I see! We were pleasantly surprised as well! And these are only the main highlights of the city centre, then you have those that require an entrance, taxi tours… Manchester is such a (mainly) undiscovered gem!